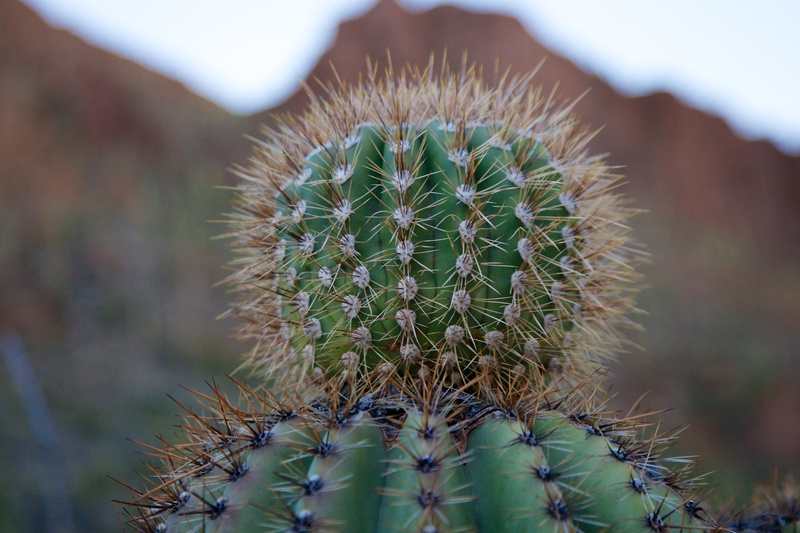 As we arrived in Tucson and headed towards our RV Campground, we found ourselves surrounded by mountains covered by saguaro cacti. It was an astounding sight. 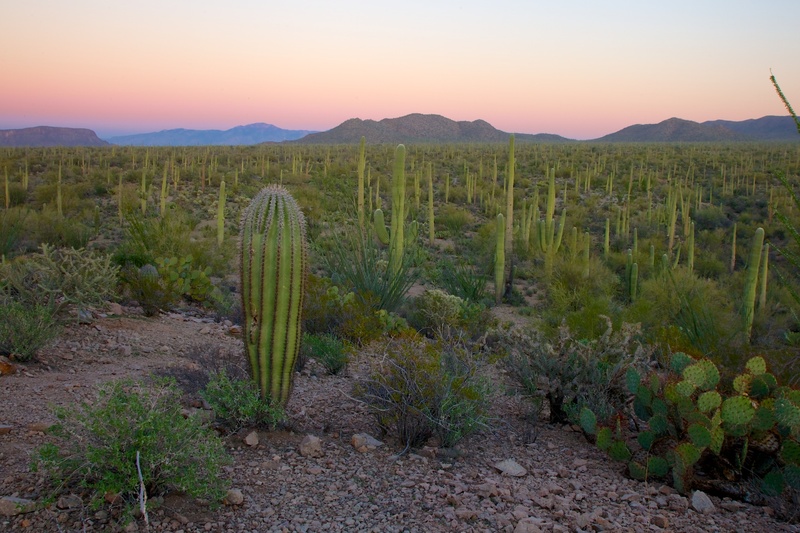 This area is part of the Sonoran Desert, and near the north eastern most habitat of the saguaro (they only grow in Arizona, California, and parts of Mexico). As a result, if you arrive from the east as we did, you don’t see any along the way until you arrive and then they are everywhere! 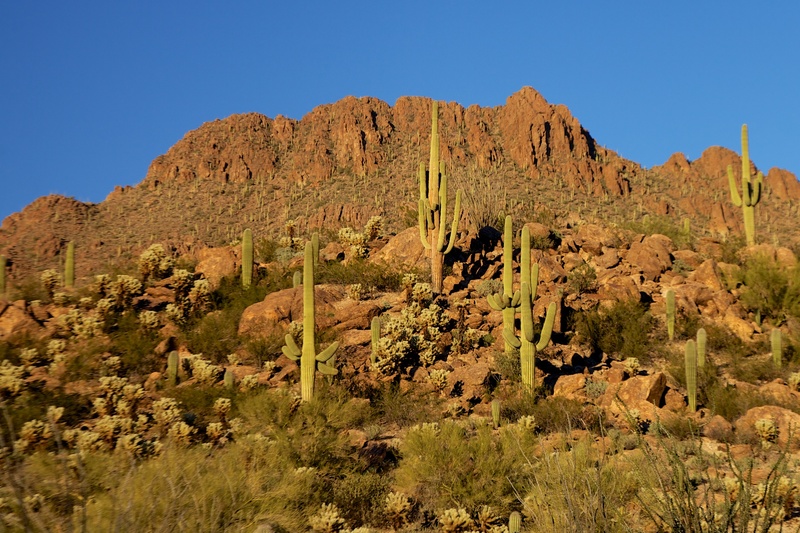 The ranger at Saguaro National Park, which is actually two parks, one to the east and one to the west of Tucson, informed us that there are about 1.8 million Saguaros within its borders. And I’m sure we’re looking at thousands at one time. 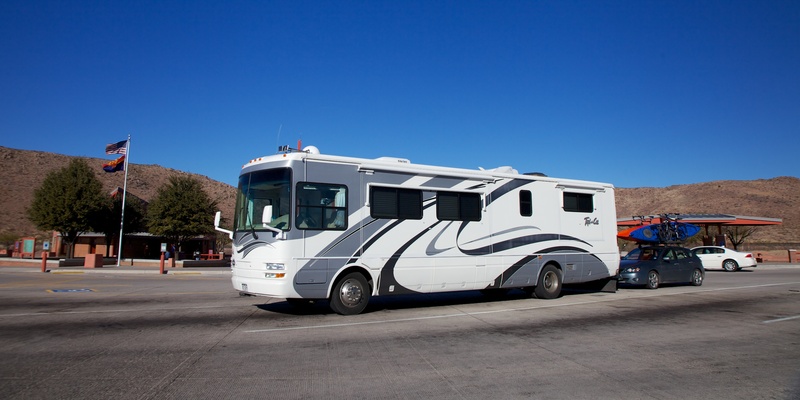 We found the area so fascinating that we decided to extend our stay, it’s so nice to have that flexibility. 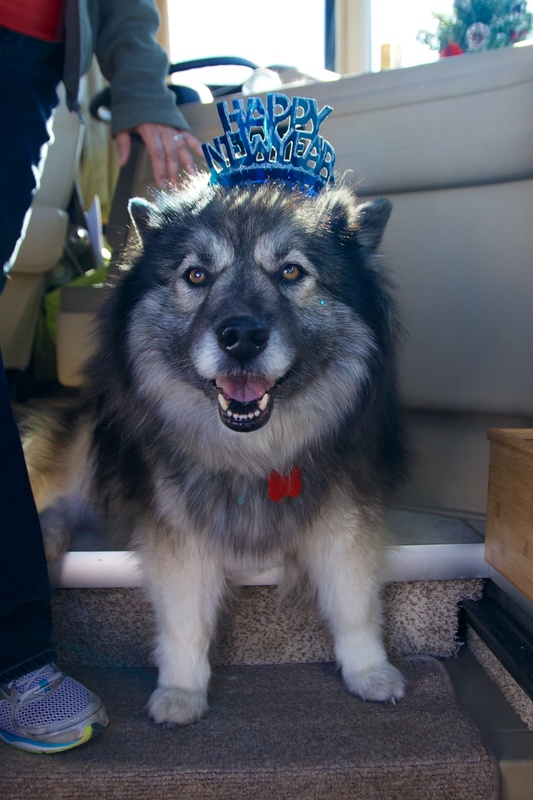 Originally, we were planning to spend New Year’s Eve in Sedona, but we changed our reservation to stay in Tucson until after the New Year. We drove into the city a couple of times. 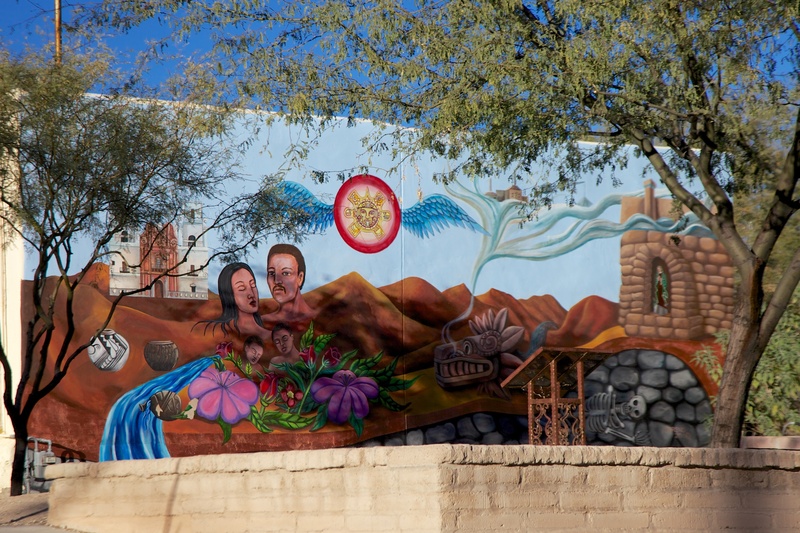 There is lots of interesting mural art in Tucson, which we love. 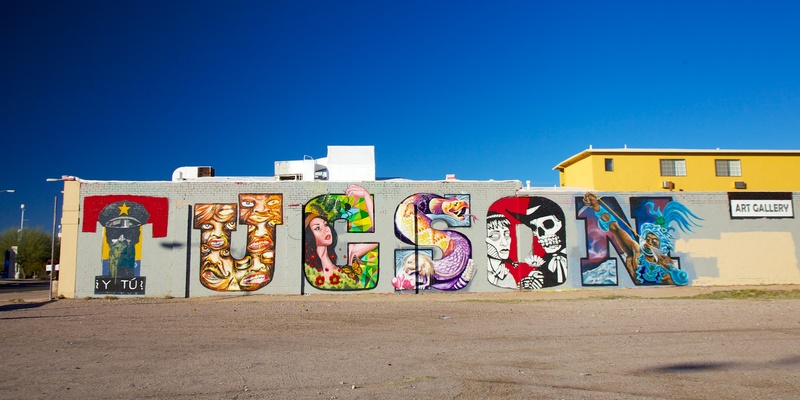 One mural, which spells out the word Tucson, is a recent work that was a collaboration of six artists (one for each letter). Each artist has strong ties to the city and incorporated political or cultural messages into their art. We also visited the Tucson Museum of Art and Historic Block. Our favorite exhibits were the Western Art permanent exhibit and a temporary exhibition by wildlife artist Bob Kuhn. 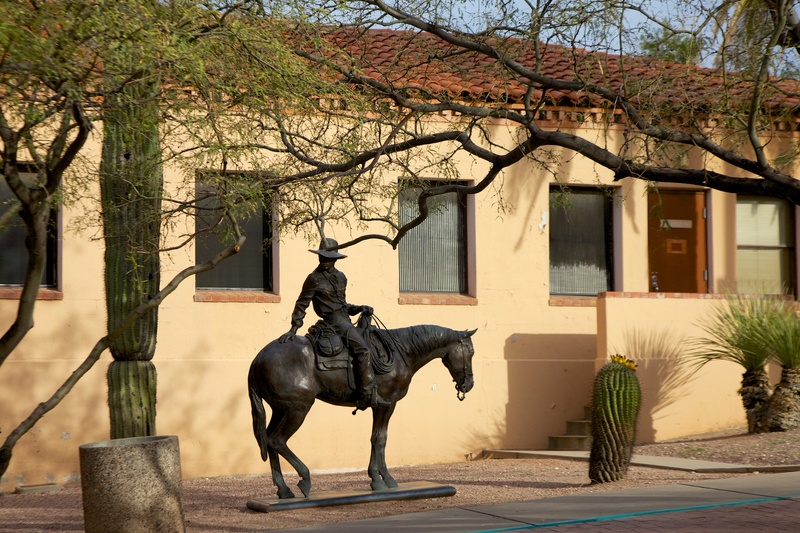 Another favorite was the Historic Block, five properties built between the mid 1800s and the early 1900s, that along with the museum, are located in what was once the Presidio of San Agustin del Tucson, established by the Spanish army in 1775. 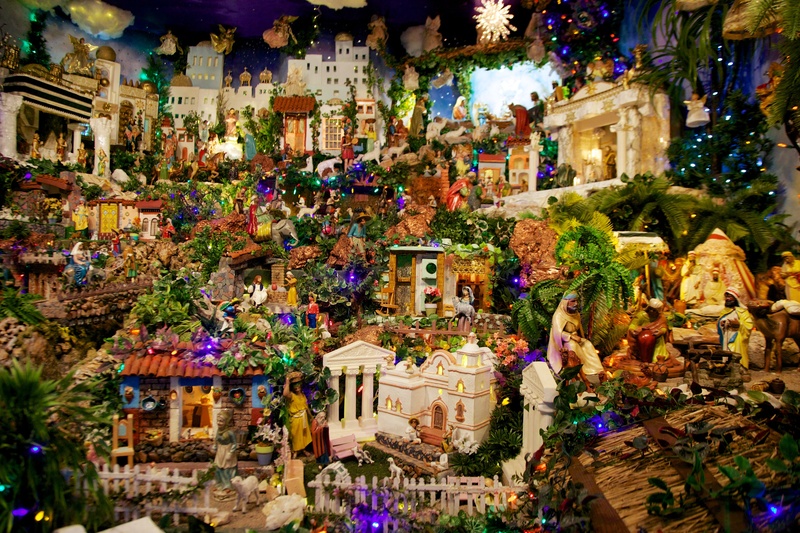 One of these houses displays “El Nacimiento” a massive Mexican nativity scene that combines the Christmas story of the bible with scenes from traditional Mexican village life and more, created by Maria Luisa in memory of her mother. 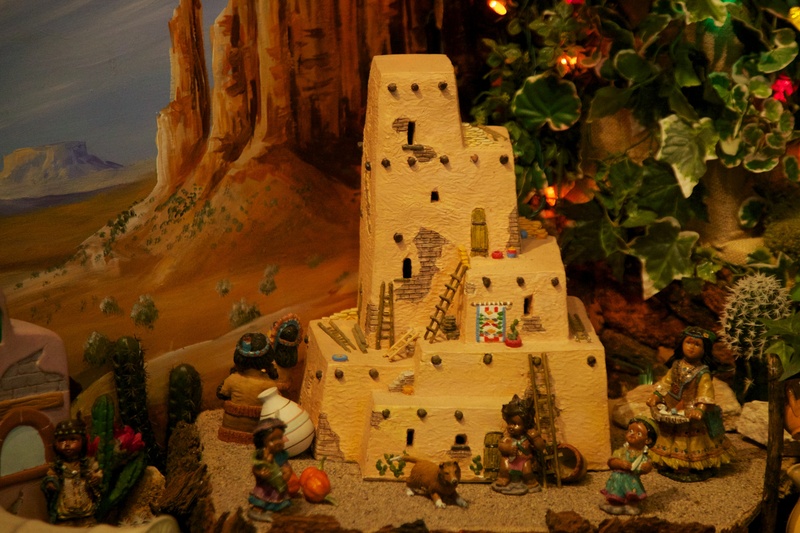 It’s by far the most intricate nativity scene I’ve seen. The art museum is small but worth a visit. We spent Christmas in Tucson, and Hector cooked another wonderful meal. Our families usually have Christmas Eve dinner, but when not with family, we prefer Christmas dinner. It was kind of a quiet day with no friends nor family nearby, but it was also very relaxing. 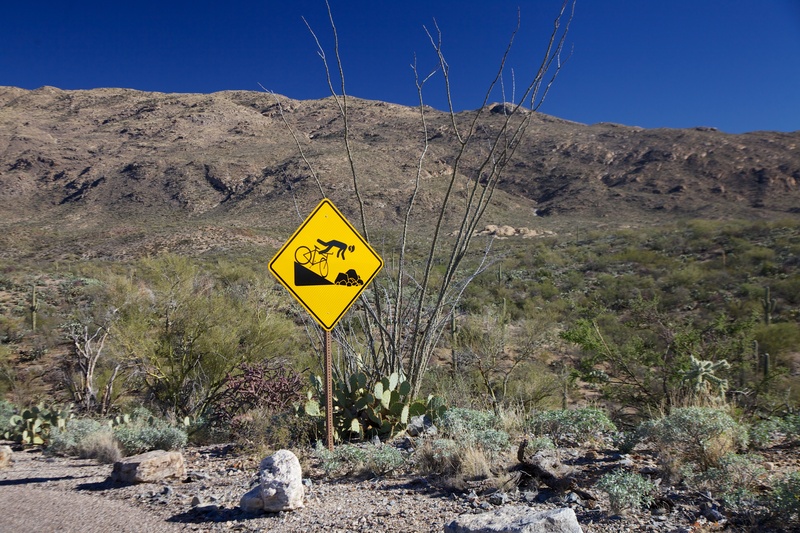 Our RV park was adjacent to Tucson Mountain Park and had several trails leading out of it, so were able to hike and mountain bike from the park. We also had a very nice view of the sunset over the mountains right out our front window. 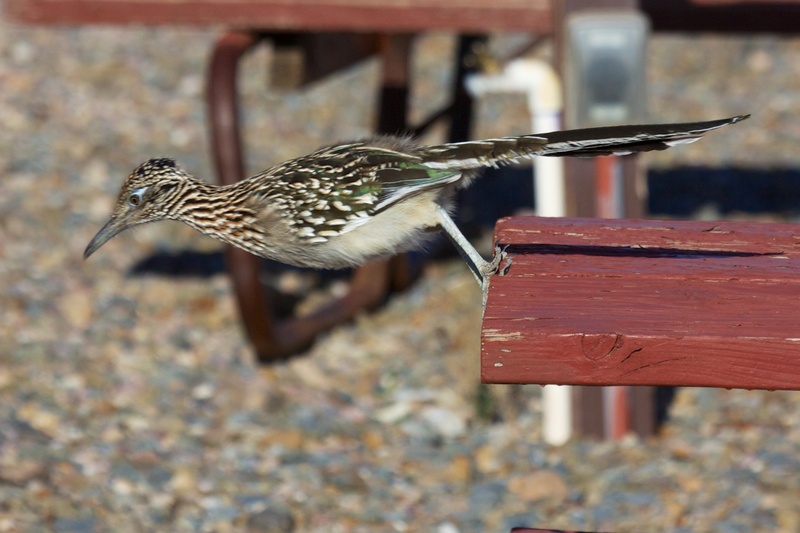 And I saw my first road runner – on two different days, hanging around the campsites, and Hector got a few photos of him. 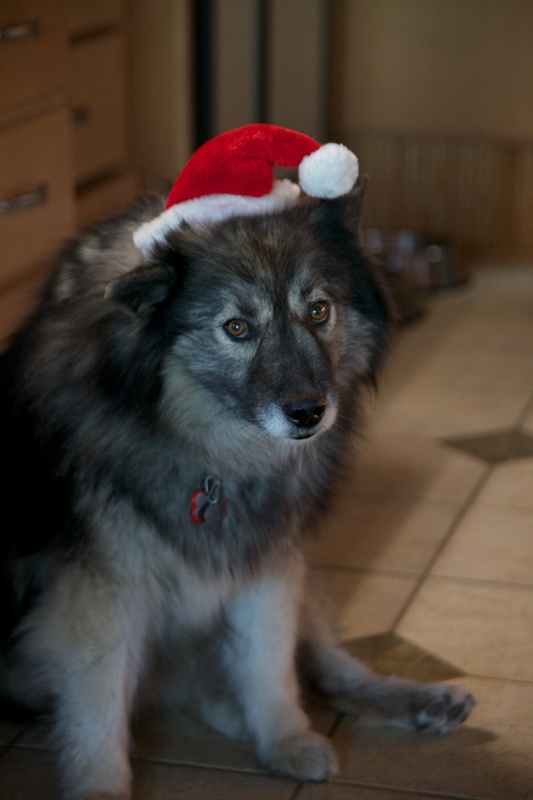 The day after Christmas, we had Ingrid and Al over for dinner. 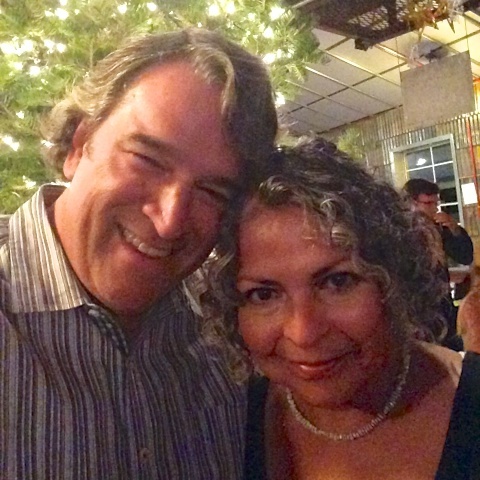 Ingrid and I “met” each other through our blogs – but the story has one more layer. Back on Prince Edward Island in Canada, Hector and I had dinner with fulltimers and bloggers, Mona Liza and her husband Steve after Mona Liza and I also “met” though our respective blogs. Mona Liza wrote a really cute blog post about our get together, and Ingrid, who follows her blog, linked to our blog. When I noticed Ingrid’s comments on our blog, I linked to her blog and that is how we “met”. We live in interesting times. 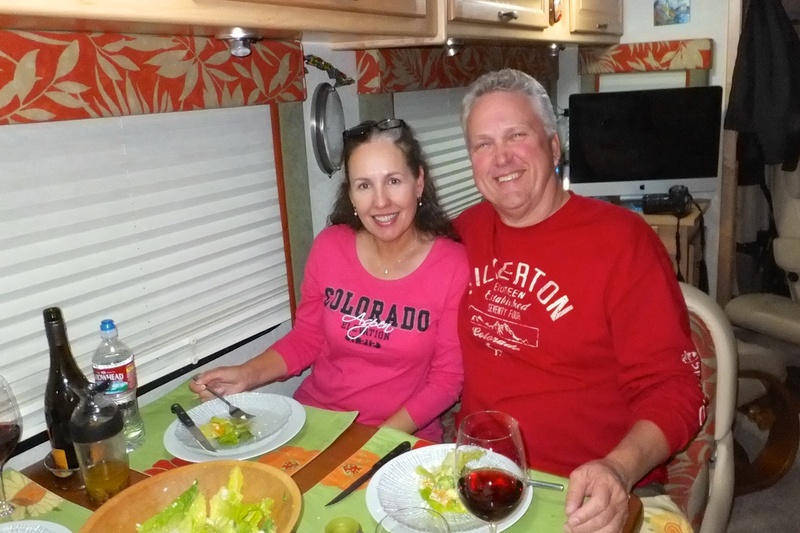 Continuing on the social circuit, a few days later we had a great dinner at Jean and Jerry’s. Jean and Jerry are friends of Scott and Mary, friends of ours from Denver. 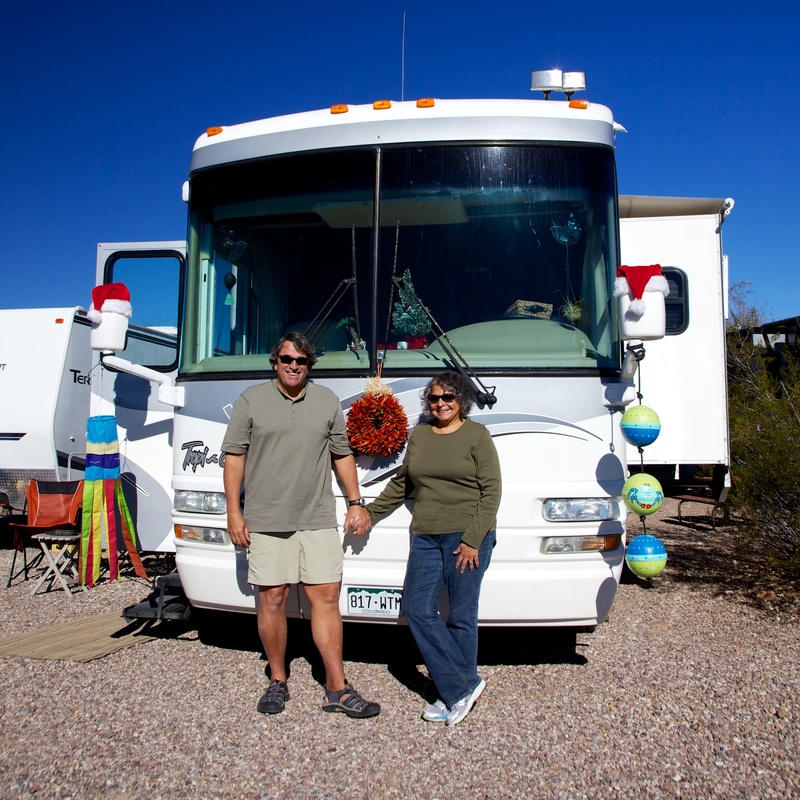 When Scott and Mary realized we were going to stay in Tucson, they introduced us via e-mail. 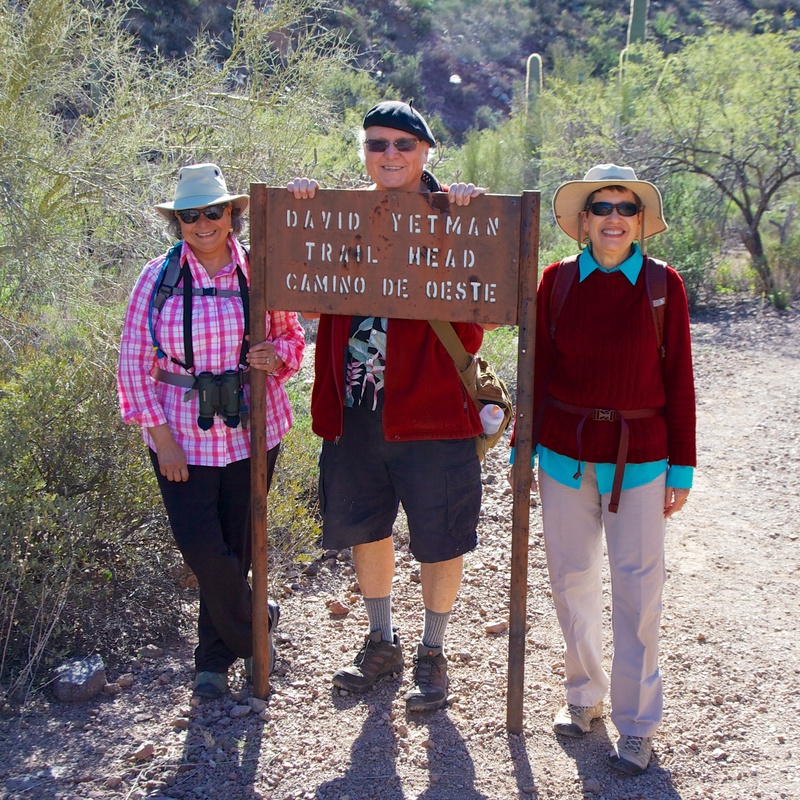 We had such a wonderful time with Jean and Jerry that we went hiking together the next day. The hike was on the Yetman Trail, which goes through a lovely valley and over a pass. It’s about six miles one-way, and, since we were able to park one car at each end of the trail, we only had to hike in one direction. 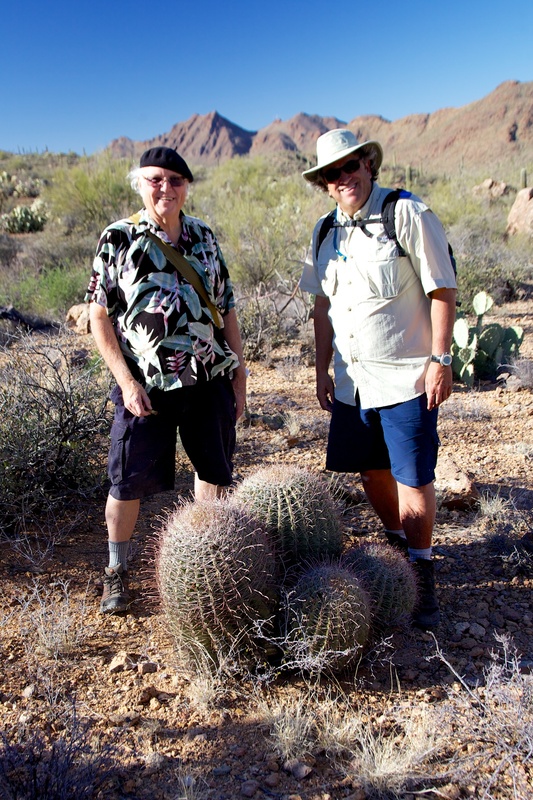 This allowed us to take our time, and for Jean and Jerry to share their vast knowledge about the plants and other features of the valley along the way. 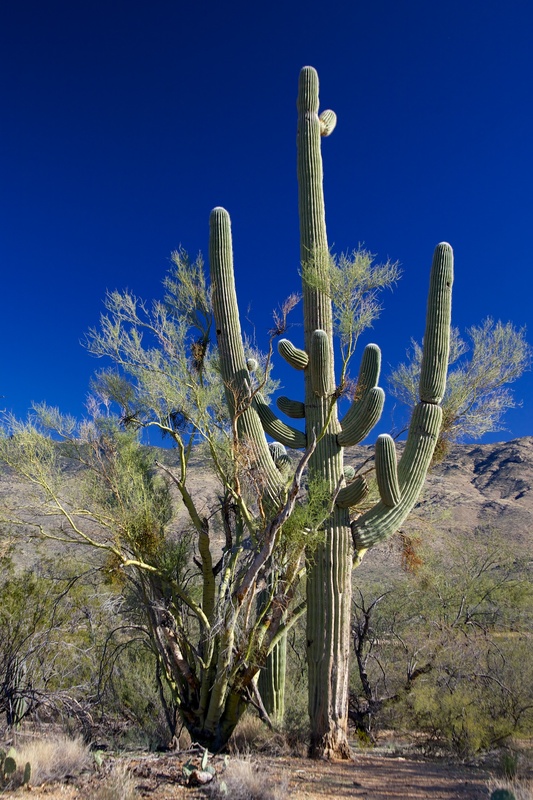 Among those tidbits was the fact that many of the saguaro are able to survive only when they grow under nurse trees. 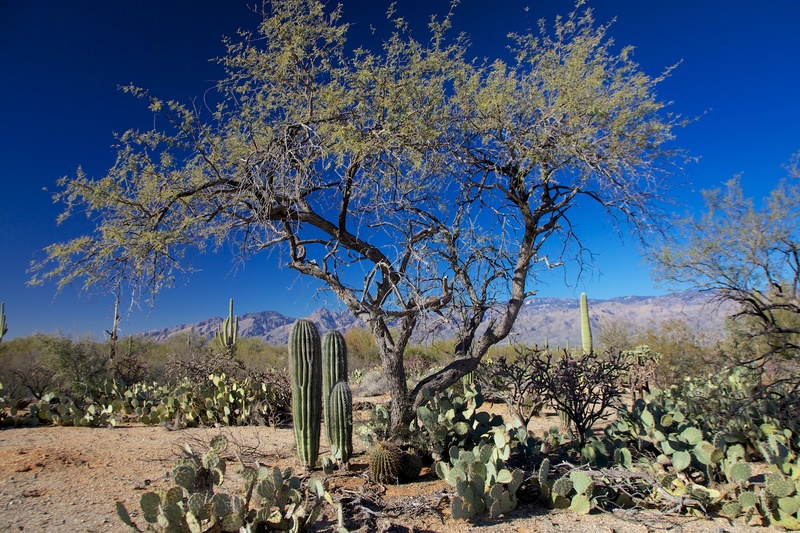 These nurse trees are frequently palo verde and mesquite. 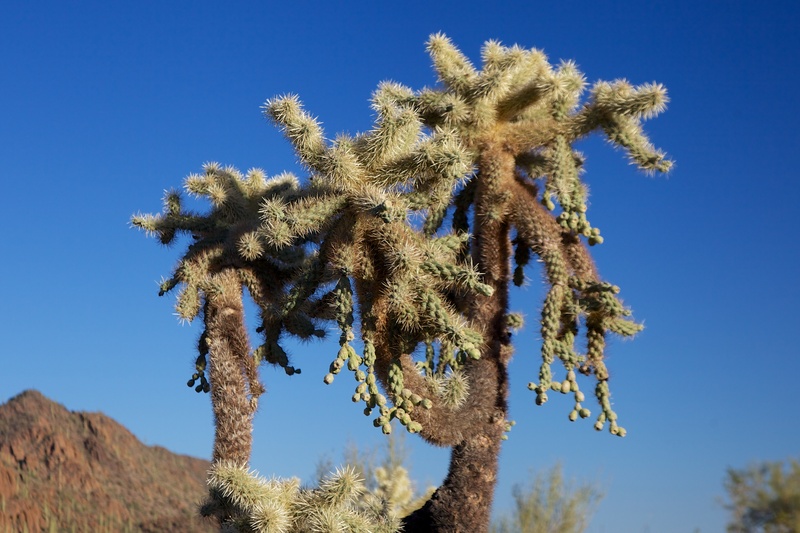 The saguaros are slow growers, at fifteen years they’re only about twelve inches tall, so the nurse trees provide protection from extreme sunlight, winter cold and small animals. 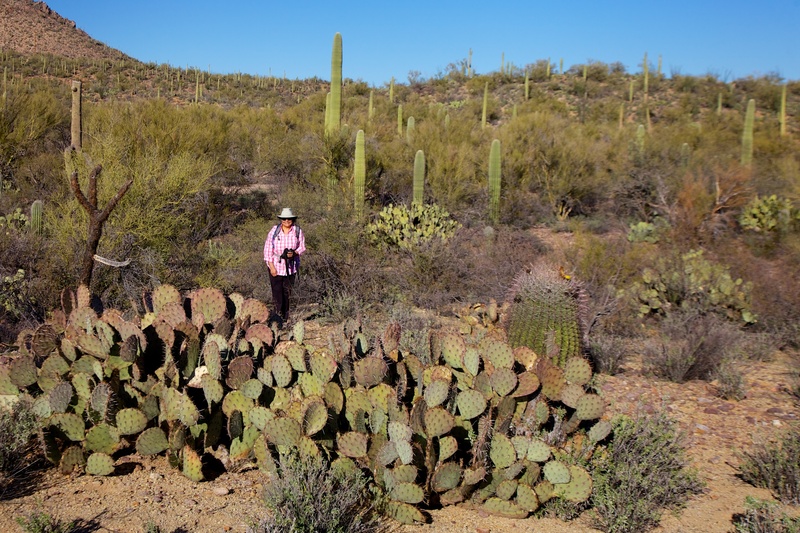 But many saguaros don’t make it. 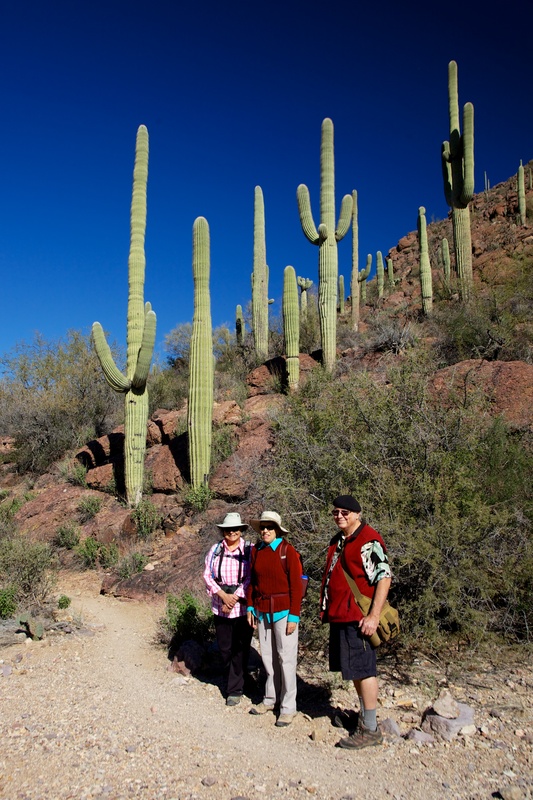 And there is a strong connection, which began with Native Americans, between the people here and the saguaro cacti. In fact, while we were on the trail, Jean made it a point to surround one little one with branches to protect it from the cold. 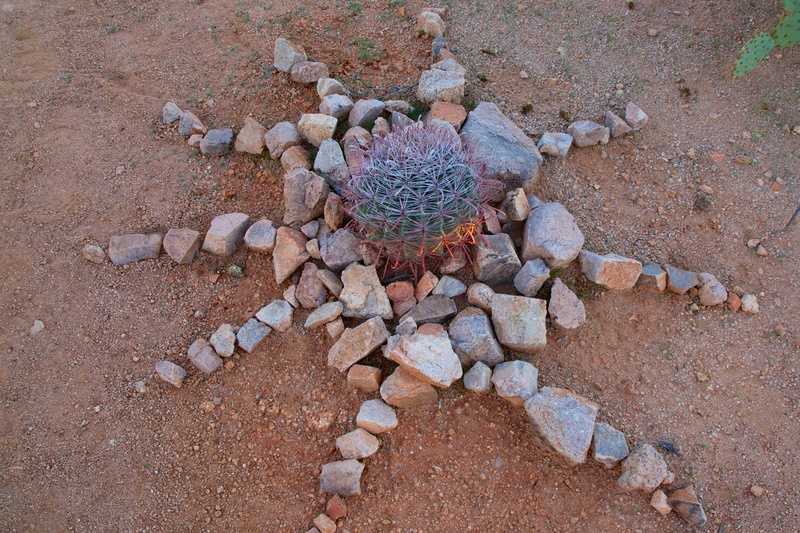 Of course, there are a lot of other spiny, thorny cacti in the desert and we learned about them as well. 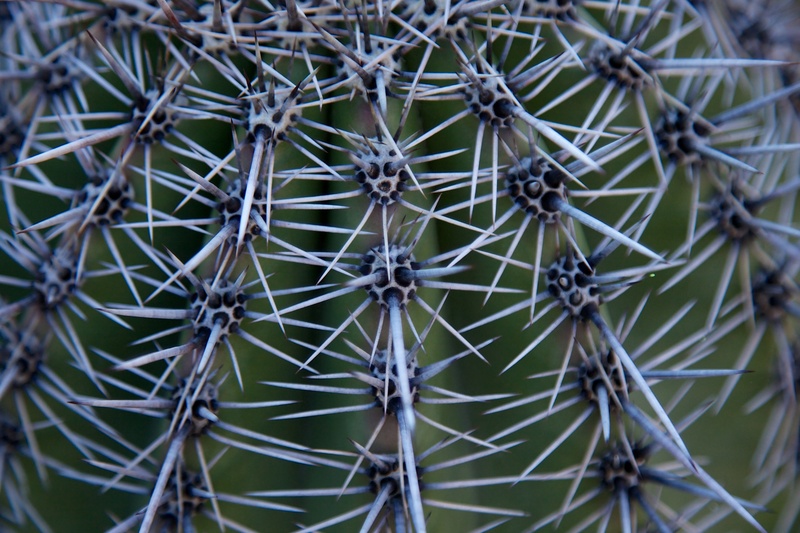 We heard that some people go out into the desert “with a plastic comb and a pair of tweezers” – tweezers are not good for pulling certain thorns out and combs are said to do the trick. I, for one, did not intend to find out. Still, it’s hard to imagine how animals survive in this harsh environment, but they do. 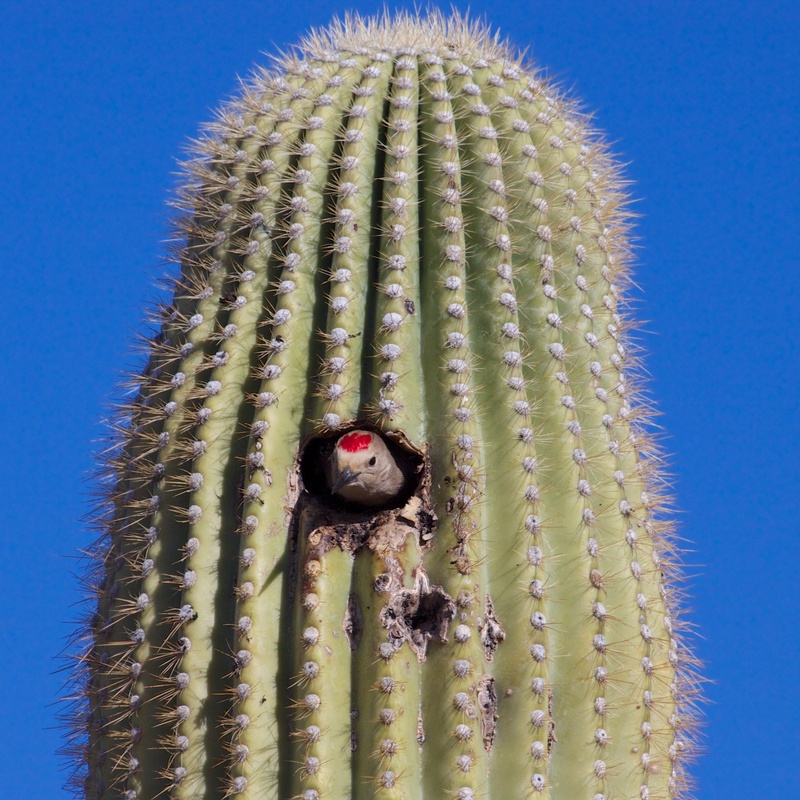 As evidenced by some birds nests we discovered in the cacti during our hike. All in all it was a great hike with great people. 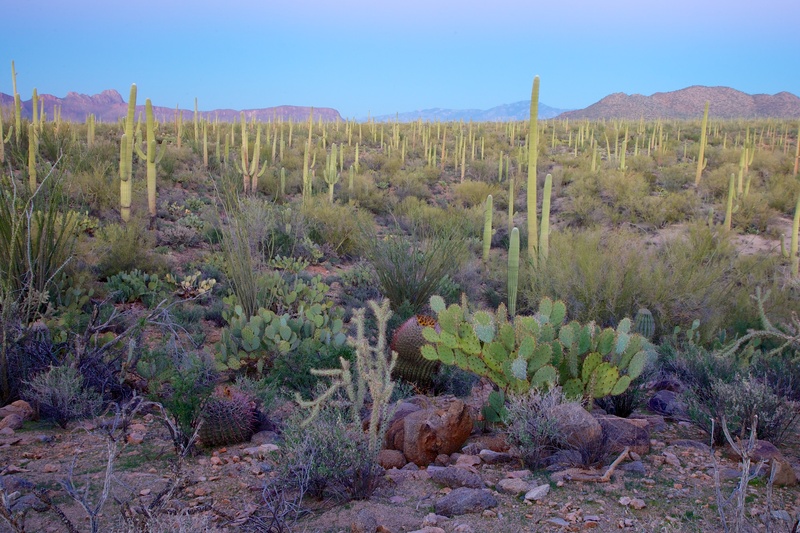 We returned to Saguaro National Park a couple of times. 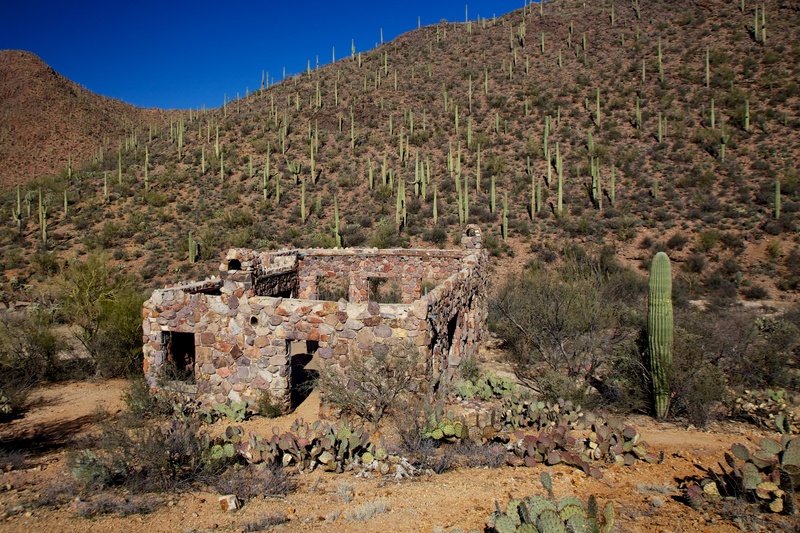 Saguaro East-Rincon Mountain District was established first and has the oldest saguaro forest and some of the biggest saguaros. 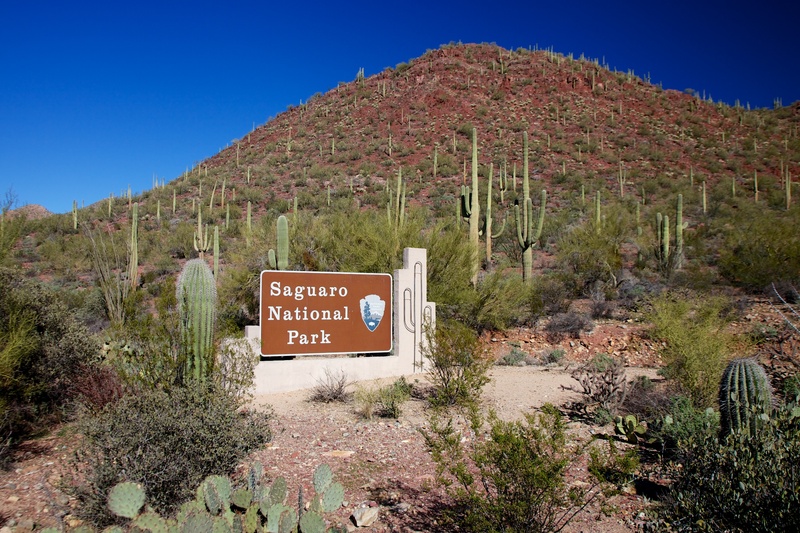 However, there are less total saguaros in this park than in the Saguaro West-Tucson Mountain District. 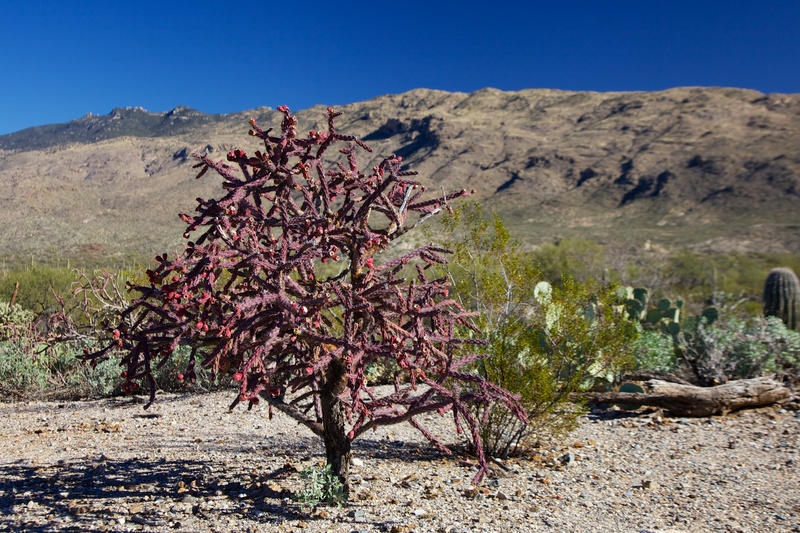 The reason is that the east side of the park is about 1,000 feet higher altitude than the west, and so many more saguaros are killed by frost. 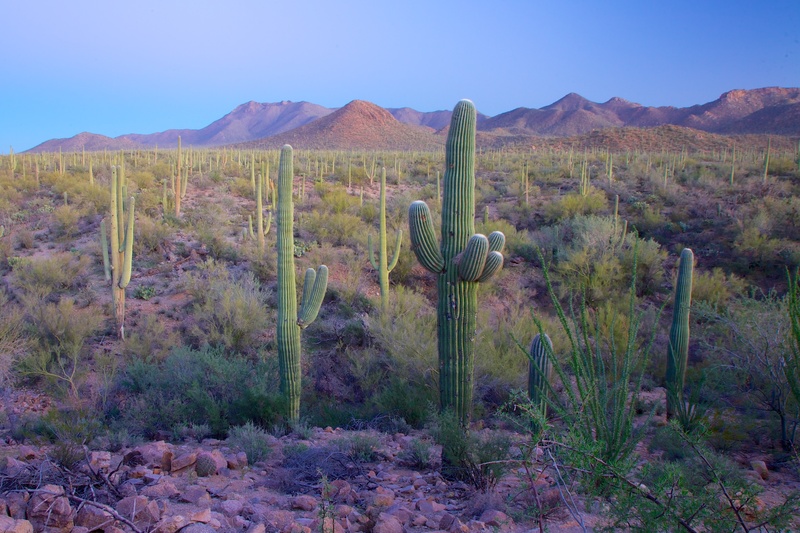 In fact, that is one of the reasons that the Saguaro West park was established – in order to protect a larger area of saguaros. 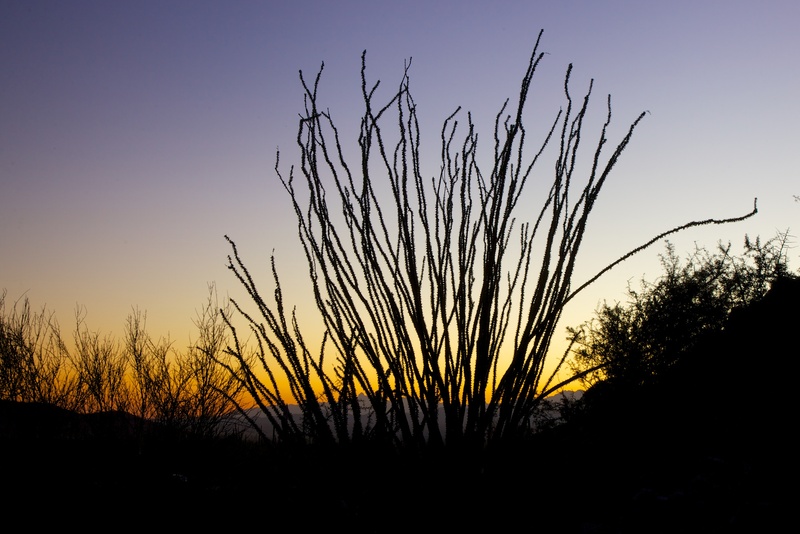 One afternoon, we hiked up to Signal Peak, a popular sunset watching spot for locals. The trail continued past the sunset watching spot and we followed it into a more remote desert area surrounded by mountains to watch the sunset. Meanwhile, I’d done research on things to do on New Year’s Eve. We wanted to celebrate our amazing year in style. So I found a very interesting venue called the Whistle Stop Depot. The Whistle Stop Depot was a 5,200 square foot warehouse that was refurbished with materials handcrafted from reclaimed, recycled and salvaged materials. This venue was hosting a salsa dance party with a nine piece band that included some of the best musicians from various local Latin bands who would be playing together for the first time. This sounded perfect, and indeed it was, we danced the night away to great music in a beautiful space. 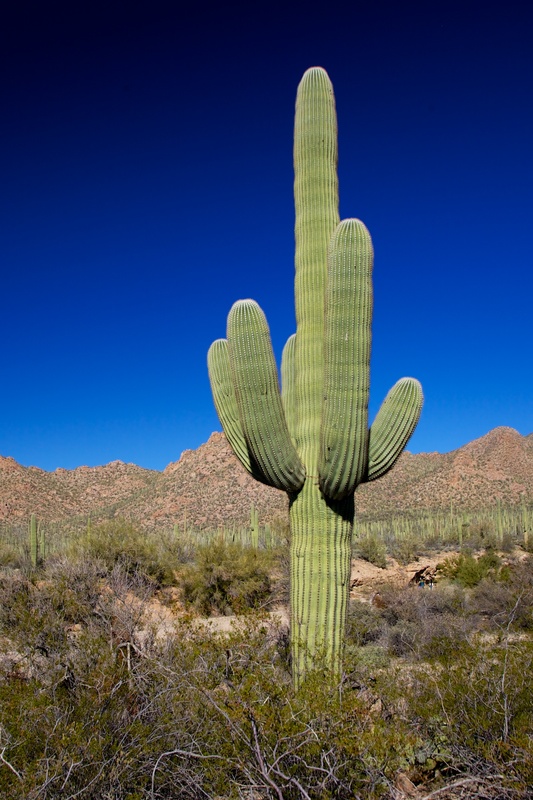 Now back to the saguaros – they are the largest cacti in North America, and can live to 175-200 years old and 70 feet tall. They often outlive their nurse trees. 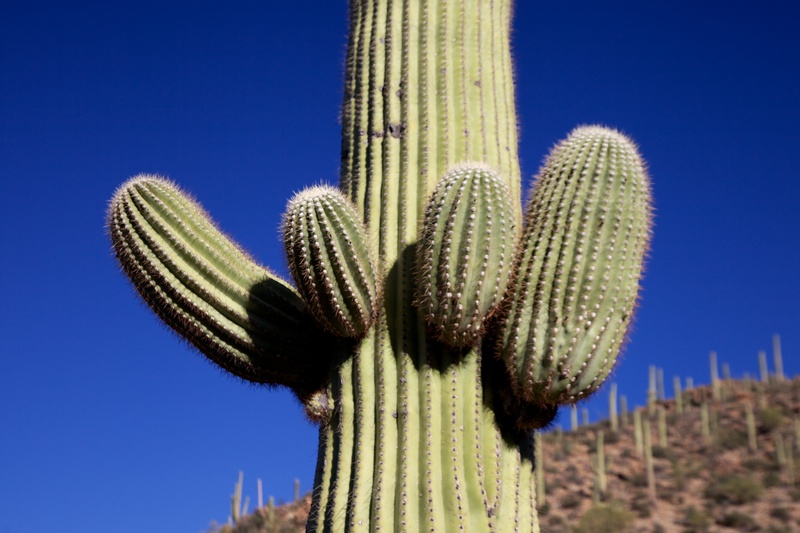 The saguaros branches or arms, if they grow at all, start to grow only after they reach 75 years. 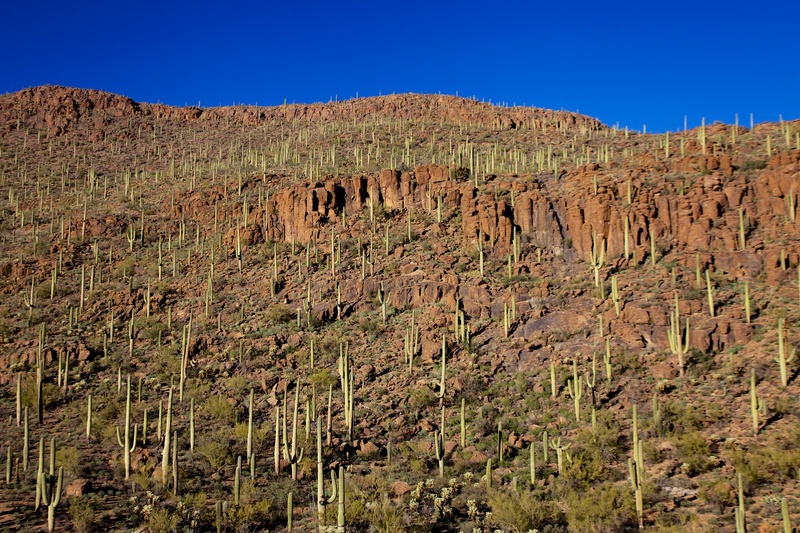 As I looked out over the saguaro “forest” on the mountain, they looked like sentinels of the desert. They really do resemble people sometimes, with diverse shapes and sizes. And with their “arms” waving in all directions. 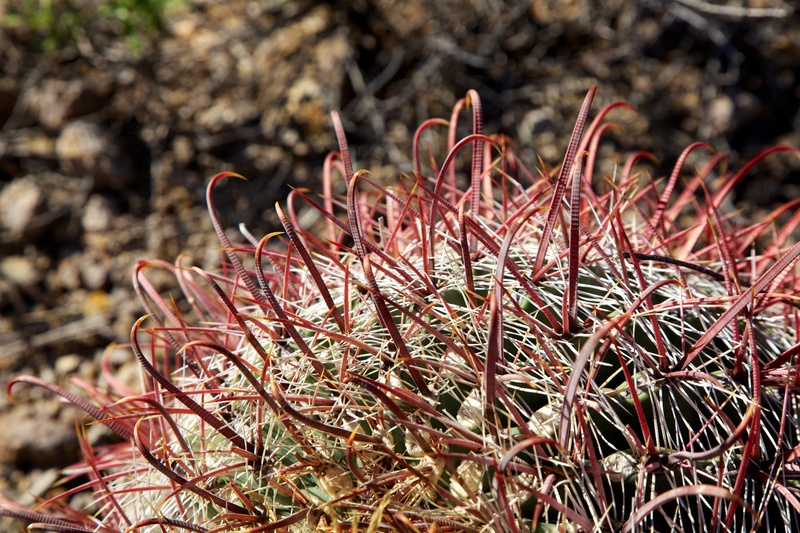 Some, which are extremely rare, produce a fan-like form which is referred to as crested or cristate. I think they are very intriguing. And they frame the lovely city of Tucson very nicely. 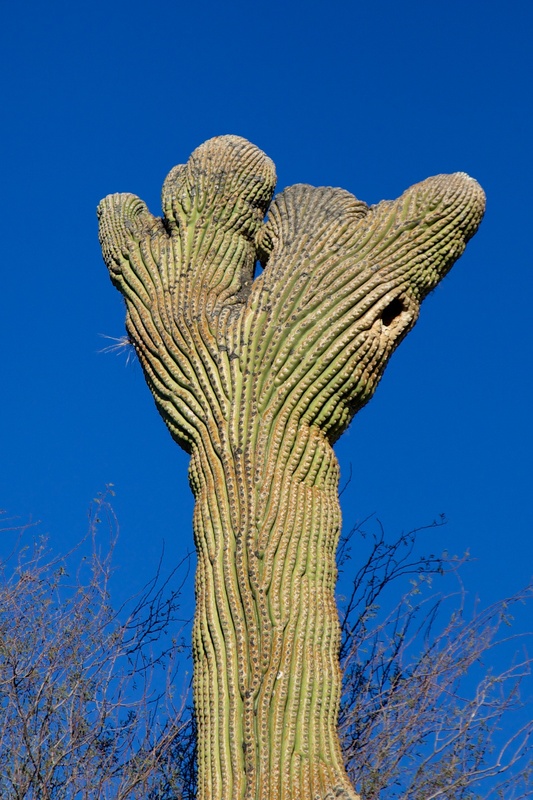 This entry was posted in Arizona, RV fulltimers, States Visited and tagged Cities, friends, hiking, national parks, saguaro by islandgirlwalkabout. Bookmark the permalink. Sounds like you had a great stay in Tucson. 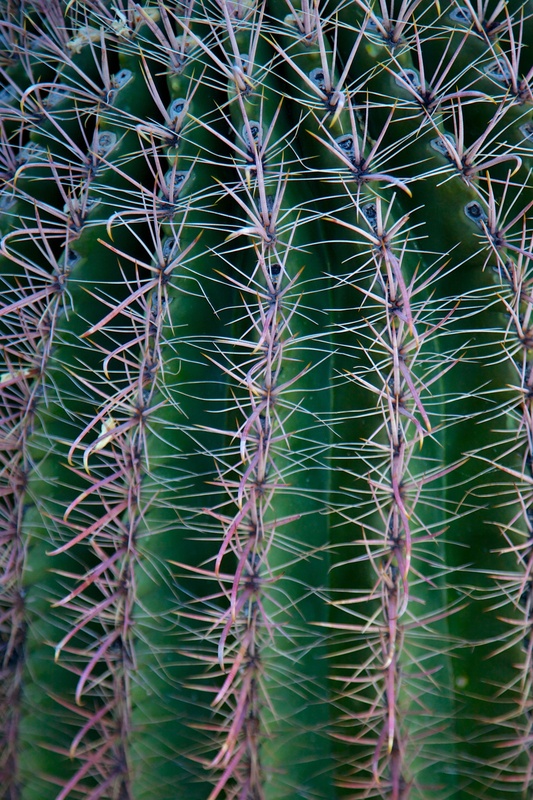 Last year I did some research on the Saguaros…..amazing plant. We look forward to exploring the area more. Thanks for the nice tale and photo on our meeting. It was a fun evening and a pleasure meeting. 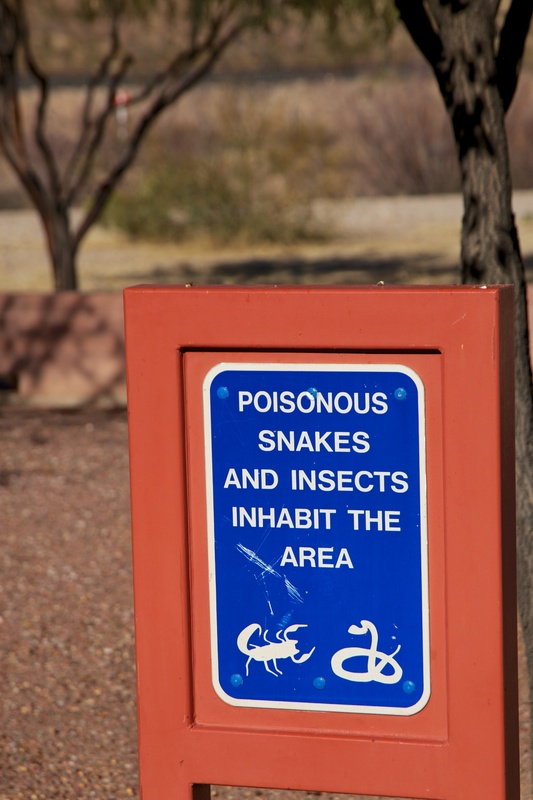 I’m looking forward to your Sedona post. And of course, great photos. Interesting isn’t it ? The connections we make through blogging! 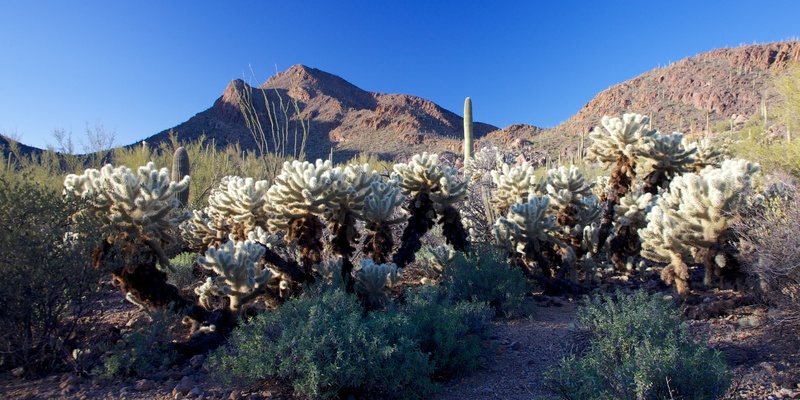 I have fond memories of Arizona and we will surely go back and winter there again. Won’t that be interesting if by chance we all decide to winter in AZ ! Fun fun fun. 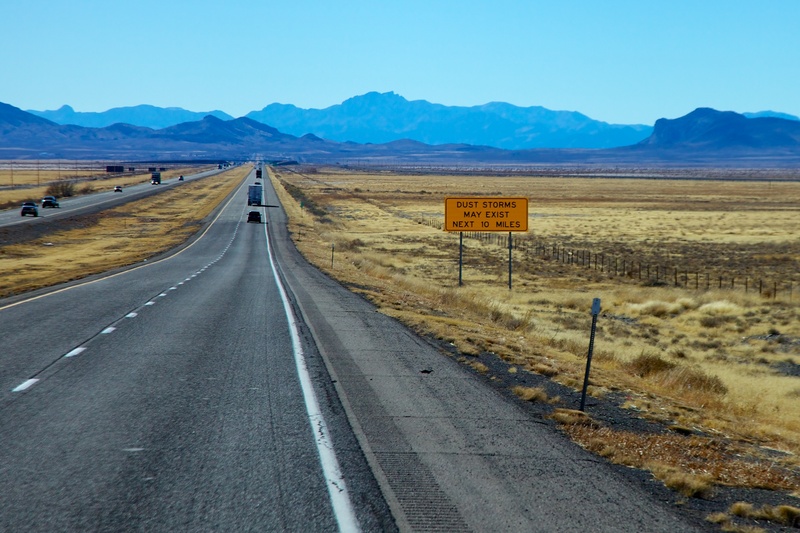 Those saguaros are beckoning me, we really have to hurry up with our eastern journey. 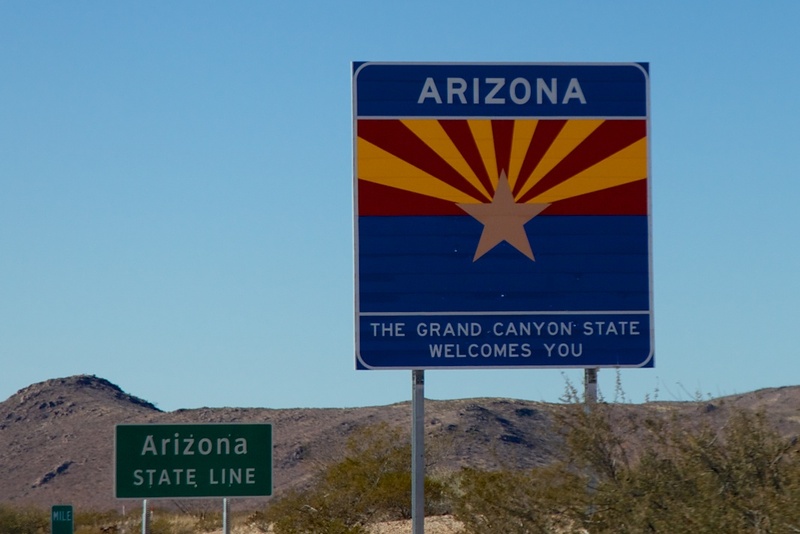 It would be great to meet in Arizona. Are you planning to go to New Mexico next fall, we’re planning to go for the Balloon Fiesta, would be great to meet there too. I did not even think of the balloon fiesta in Albuquerque. At this point I am not sure yet, but what is sure is that we will be wintering in TX next winter. Will just keep an eye on each other who knows we will cross paths somewhere. You’re going to become an expert! 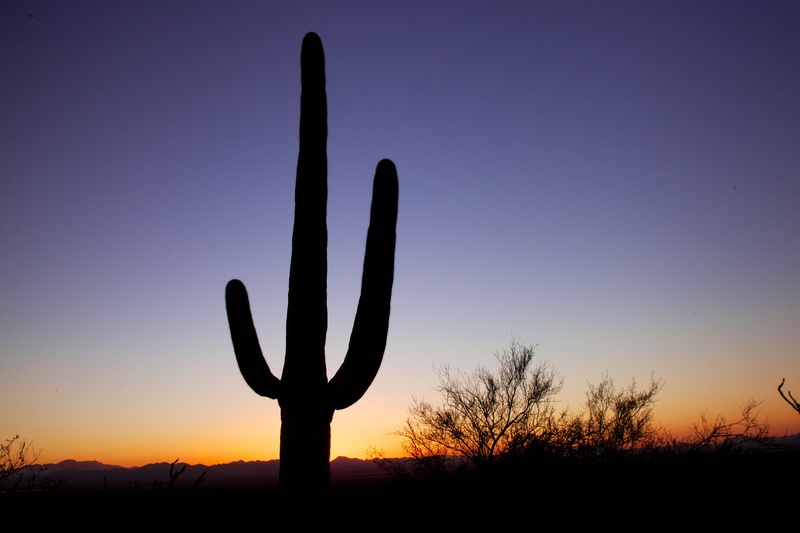 I am a saguaro fanatic. 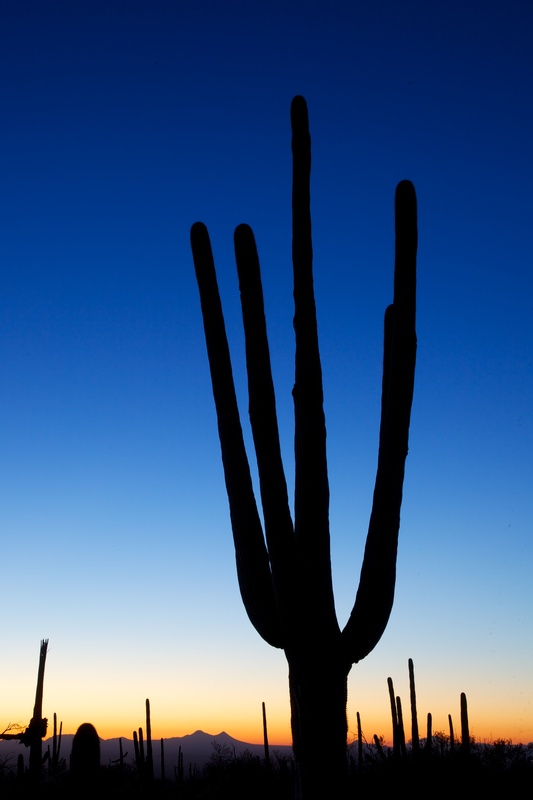 I must have a photo of every saguaro. 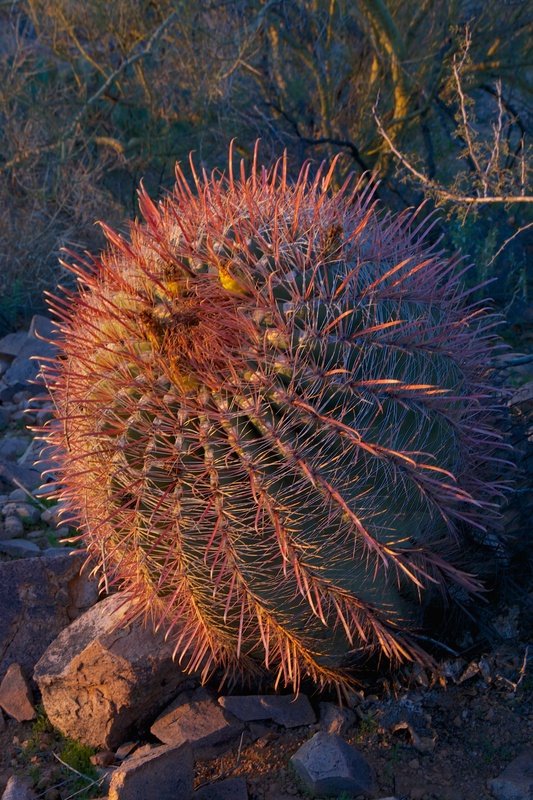 My real passion is the crested saguaro. We have hiked miles and miles in search of each crested wonder I could locate online. We can’t wait to return next winter. The hiking is awesome. We hiked to that house, as well. Finally meeting face to face is so much fun after following a blog for awhile. I found you through Steve and MonaLiza who we met for real last summer. We reconnected in SC and just spent last Tuesday together catching up. Hoping to meet you two someday. Sedona is another heavenly place. We had just purchased our Jeep before our visit there. We had so much fun driving back trails to some awesome hiking. Enjoy your visit. On the hike, if you go beyond the house a few miles you come to an open valley with an incredible view, not sure how many but the one way is 5-6 miles but it’s feasible to do roundtrip if you have all day because there aren’t any big climbs. 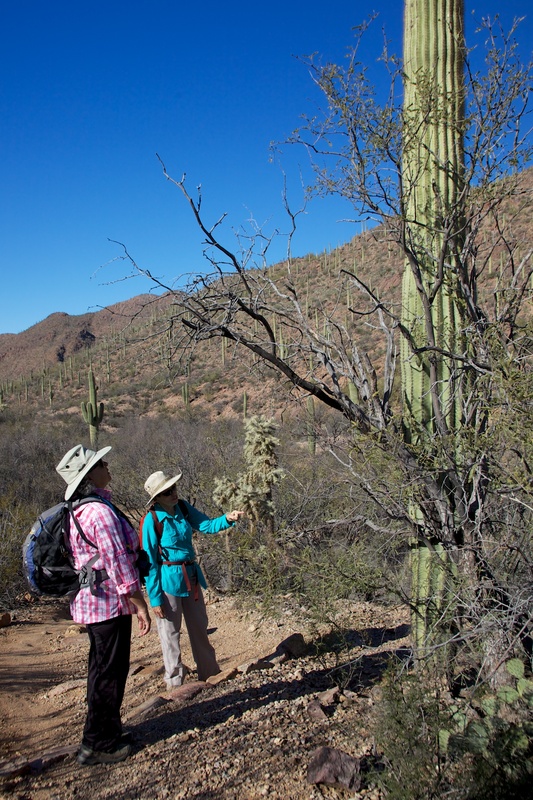 There’s a crested saguaro towards the end of the hike where you go through a saddle to the parking lot, so if you start the hike from that end (I think if you hiked to the house you possibly started on the other end), you don’t have to go far to see it. We loved meeting Mona Liza and Steve and hope to meet them again. We just left Sedona, our second visit, and it was fabulous. I can see that a jeep would be great for that area and the hiking is fabulous. I do know the crested one you mentioned. Our hike was a loop. Thanks for thinking of me. I am a little nuts about finding them. Sounds like you felt the same way I did about this place, we saw the film as well and when they open that curtain, the view is gorgeous, you think you’re still looking at a movie! Serene and spiritual is exactly right. 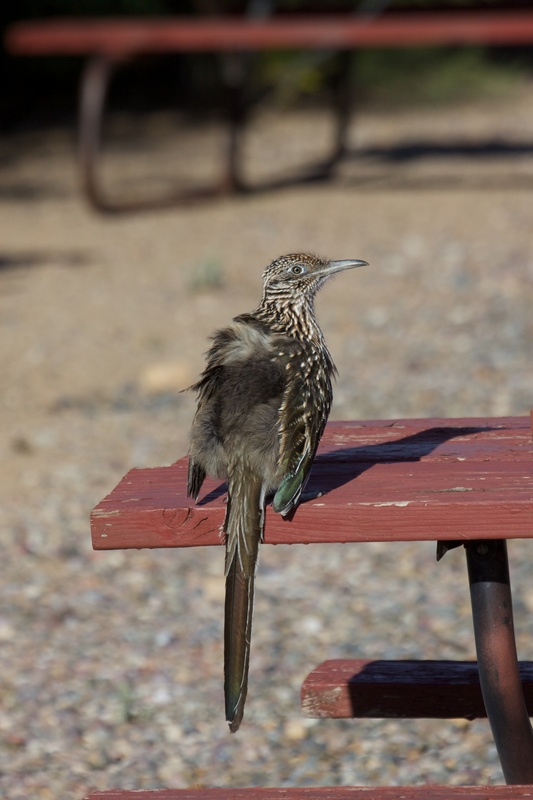 We’re in a state park in Phoenix and they are all around (not as many as Tucson) still so we’re still enjoying them. 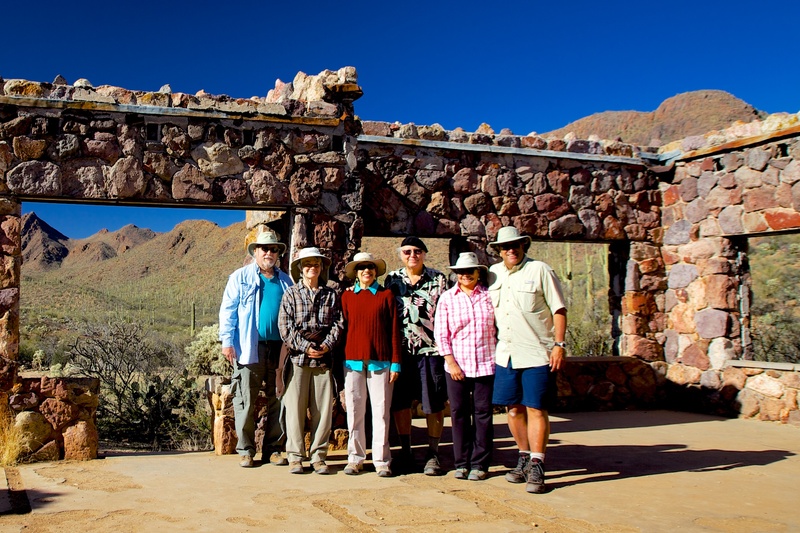 One of the retirement plans it my group of 5 is to move to Tucson and become a docent in a state or national park! I really like the area. Interesting, we liked it too. Very hot in summer though. Brenda and Hector: I’m Nancy Sellers, Scott’s sister, and we have been hearing of your exploits on this great adventure trip you’re taking. 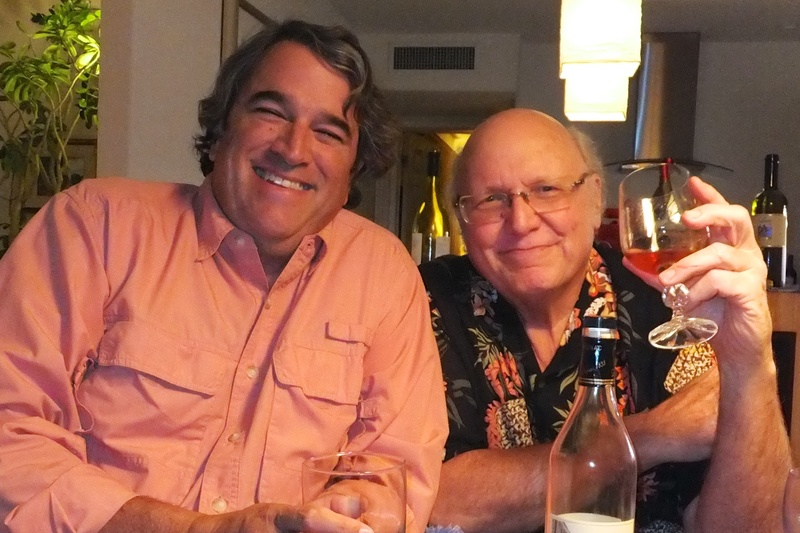 My sweetheart Bill and I missed you at Scott’s wine-tasting this summer, but you were already on the road! 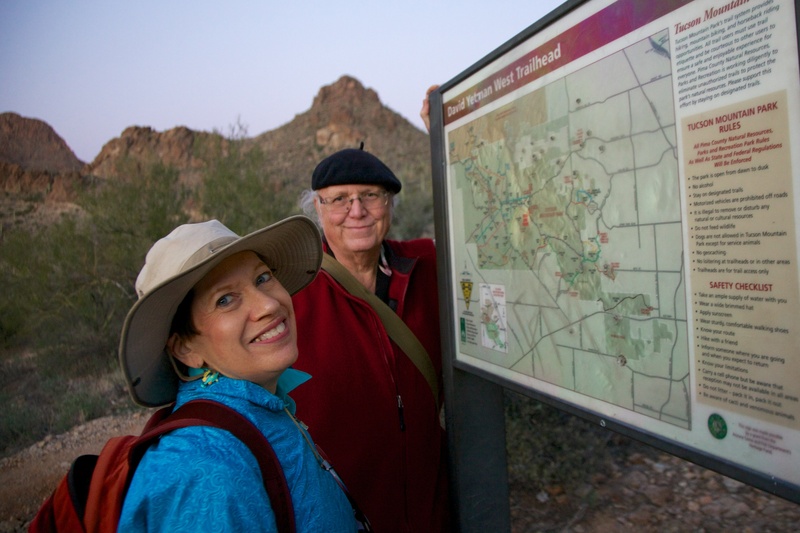 We spent time with Jean and Jerry in April, hiking some of the same trails with them that you did – (Jean was my best friend in high school, and Bill was her occasional boyfriend!) and I’m so glad Scott introduced you to my dear friends. They are SO knowledgeable and fun! Now I want to read all your blogs and see all your terrific pix, so please add me to your mailing list! voiceartist1@comcast.net Happy travels!! 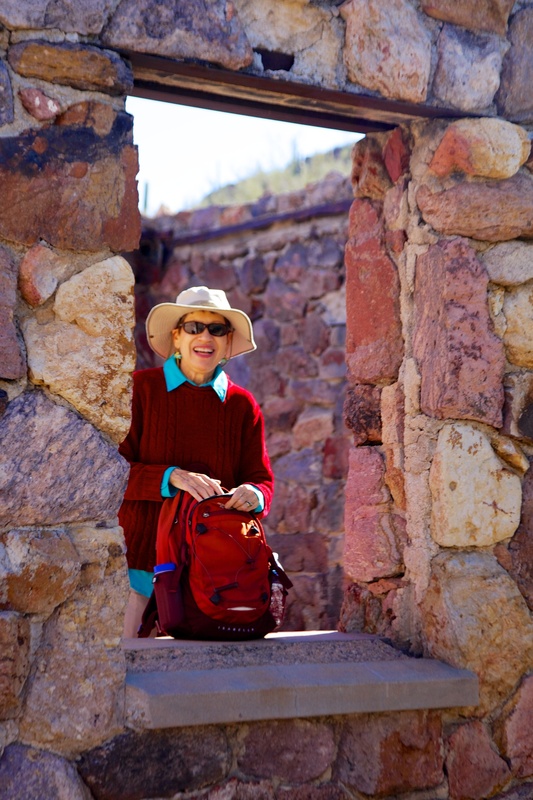 Hi, Nancy, and welcome to our blog! We’ve heard so much about you. So sorry we missed you! We loved meeting Jean and Jerry and hope to meet you sometime also. To follow our blog, just display our home page, click the follow link on the right hand side, and fill in your e-mail address. You will then receive an e-mail every time we publish a post. It’s definitely magical. So glad this brought back fond memories, it’s important to hold on to those. Miss you.